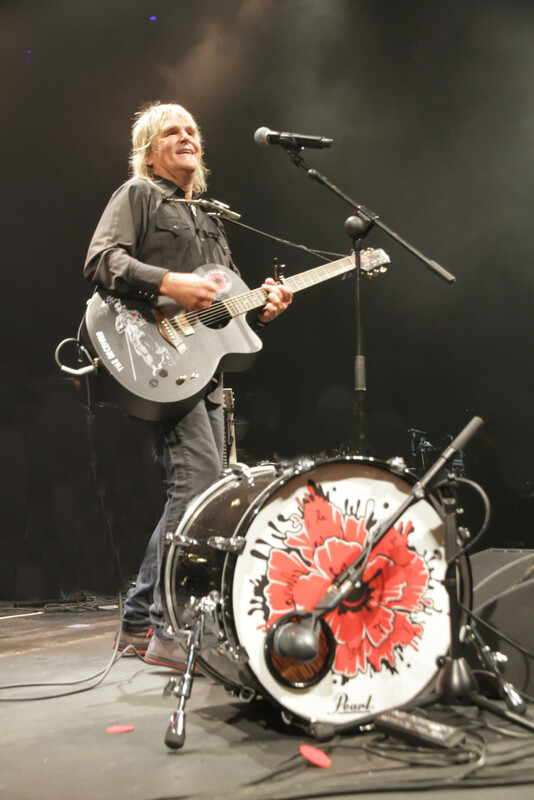 The Alarm.com is pleased to announce that additional ‘Mike Peters presents The Alarm – ‘Spirit Of ’86 in 2016’ tour dates have been added. The first will be in Peterborough at The Met Lounge on April 27th and a second at Bristol’s Thekla on May 11th. Tickets for both venues are on sale now. Declare Your Strength in 2016. 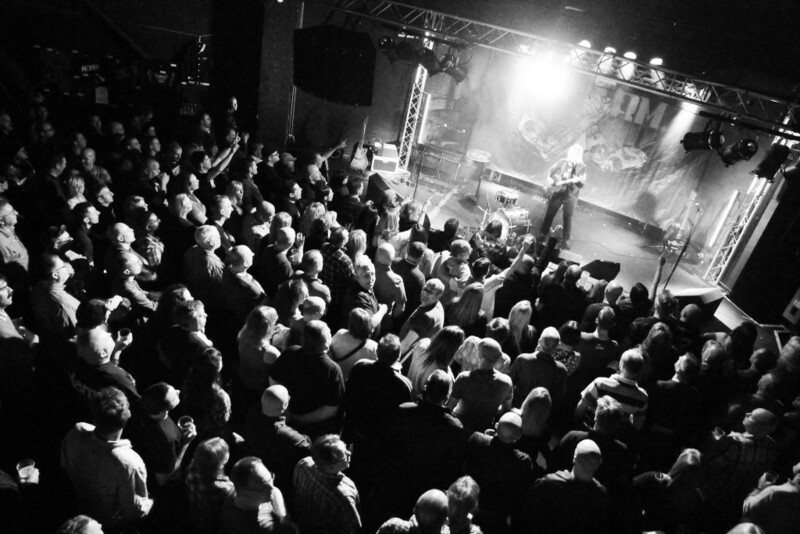 Mike Peters presents The Alarm ‘Spirit Of ’86 in 2016’ UK Tour. Tickets for all venues are on sale now. Following on from the hugely successful ‘Strength – 30th Anniversary World Tour’ of 2015 (which racked up over 18 sell out UK shows and 6 sold out nights on Broadway in New York), culminating in what Classic Rock Magazine recently described as “A Career High Concert”, at Wales Millennium Centre – Mike Peters presents The Alarm ‘Spirit Of ’86 in 2016’ UK Tour powered by his unique one man band concept that has been rocking venues all over the globe. In 2016, the forthcoming ‘Spirit Of ’86 in 2016’ tour will further present the very best of the songs contained within both ‘Declaration’ and ‘Strength’ in a uniquely contemporary style that honours the legacy the band left on the decade it helped define. 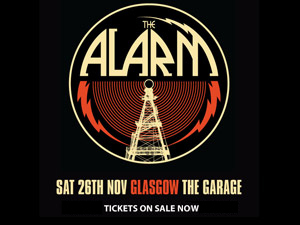 There is also a new album in the works and so Alarm fans will also be treated to debut performances of brand new material from a soon to be released Mike Peters and The Alarm album that forms the soundtrack to a compelling 2016 documentary movie ‘Man In The Camo Jacket’ (Produced by Kaleidoscope Pictures in the USA), which charts the rise of The Alarm alongside Mike Peters inspiring cancer survival story of Love Hope and Strength. 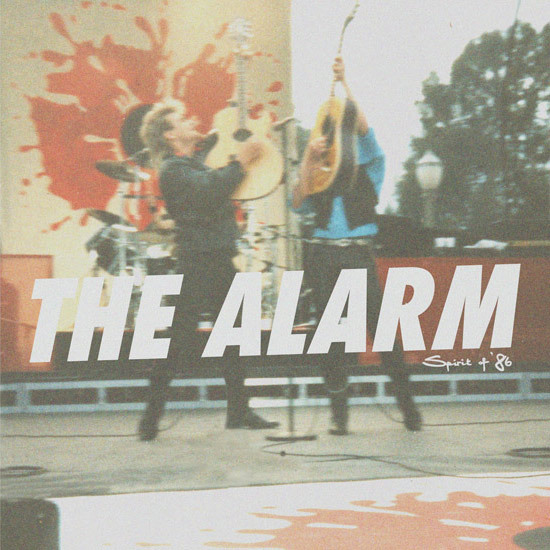 Mike Peters presents The Alarm – Spirit Of ’86 Concert tour will feature the unique electro-acoustic guitars that fuelled the music of both ‘Declaration’ and ‘Strength’, a sound that would see The Alarm break North America on a grand scale and peak with a live appearance at the famous Janss Steps on the UCLA college campus Los Angeles, before an audience of 26,000 fans at the ‘Spirit Of ‘86’ concert that was watched by millions around the world via MTV’s first ever live satellite broadcast. The ‘Spirit Of ’86 in 2016 Tour’, will feature a full recreation of the set list played 30 years ago on April 12th 1986 including all of The Alarm’s greatest hits of the time such as ‘The Stand, ‘Absolute Reality, ‘Sixty Eight Guns’, ‘Strength’, ‘Spirit Of ‘76’ and many more. 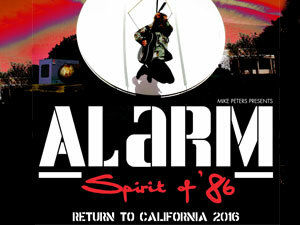 To start the tour off, a special 30th anniversary concert will take place in Los Angeles at UCLA itself on April 9th 2016, highlighting the forthcoming release of a brand new re-mastered DVD edition of the ‘Spirit Of ‘86’ concert together with a vinyl soundtrack LP created exclusively for Record Store Day on April 16th 2016. 30 years on from the original ‘Spirit Of ‘86’ concert Mike Peters still has so much to live for. After twenty years living with cancer his songs of love, hope and strength have taken on greater meaning and the optimism in his words and songs ring ever true. “If a man can’t change the world these days, I still believe a man can change his own destiny”.